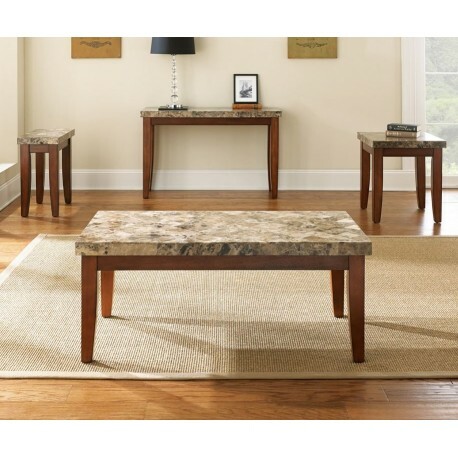 The Montibello occasional table collection features simple styling with beautiful faux marble tops. The table sides and legs are finished in a medium cherry. 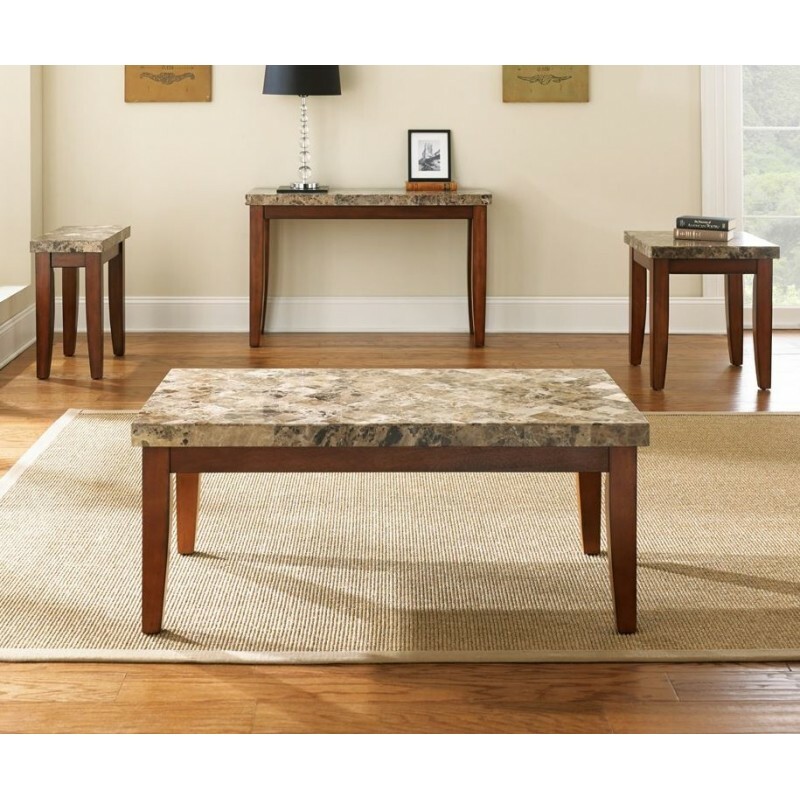 Collection pieces include a rectangular cocktail table, end table, chair side table, and sofa table. 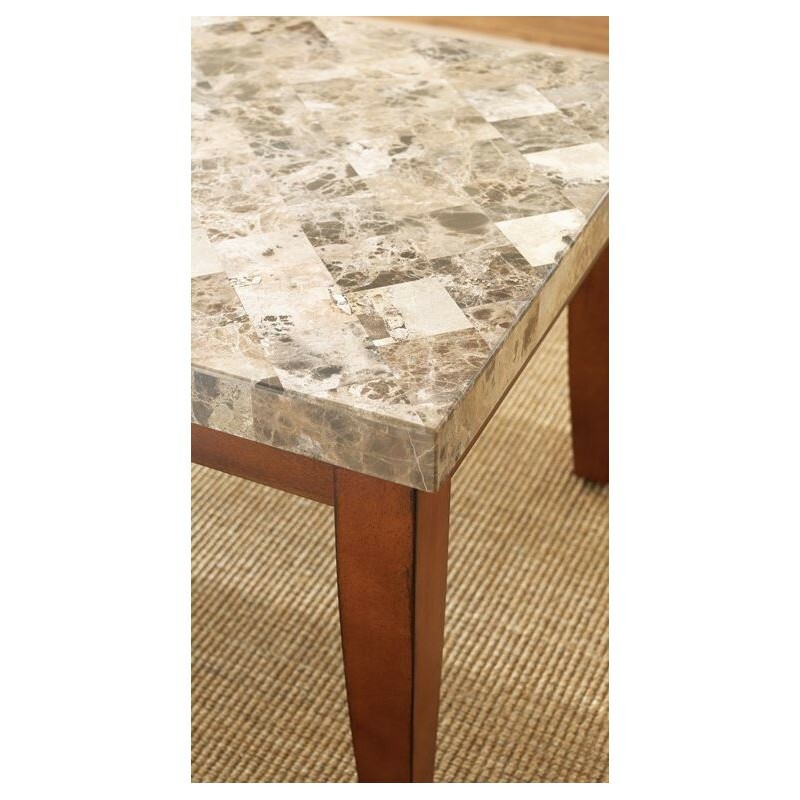 MN700C Montibello Cocktail Table, 48"x26"x20"
MN700E Montibello End Table, 22"x24"x24"
MN700EC Montibello Chairside End Table 13" x 24" x 24"
MN700S Montibello Sofa Table, 48"x18"x30"